In a few weeks I’ll be teaching the first week of Clarion West. This means a lot to me. It feels like coming full circle. I went to Clarion (the original Clarion, sometimes called Clarion East, which at that time was being held in East Lansing, MI) back in 1988, and the experience was hugely important to me, one of the landmark moments in my writing life. There’s B.C. — Before Clarion — and everything after. Before Clarion, I’d never talked to a writer more than a couple minutes, and I’d never met a published science fiction writer. I didn’t know about cons, or how to submit to magazines–and forget about novels. Becoming a writer was like choosing a career as an alligator wrestler: I knew the job existed, and I’d seen it done on TV, but where do you get the alligators? I had wonderful teachers for those six weeks–Tim Powers, Lisa Goldstein, Samuel R Delany, Kim Stanley Robinson, Kate Wilhelm, and Damon Knight. I learned a lot from them, and learned even more from reading them constantly in the years since. Stan and Tim have become friends. I also learned a tremendous amount from my fellow students. Here’s a pic of us goofing off, courtesy of pal and fellow student Mark Tiedemann. I’m in yellow, juggling. Yes, it was the 80s. I’ve been lucky enough to stay in contact with a lot of these folks over the decades, and some are friends for life. Lou and I trade emails all the time. I saw Mark last week at the Nebula Awards. I went to Andrew’s wedding a few weeks ago. Kelley & Nicola live in Seattle, and I’ll see them when I go teach. I love them all, even the ones I haven’t seen since 1988, because of how important they were to me then. This past week I’ve been reading through the 2017 students’ submission stories and personal essays, and one thing is clear: These students are more accomplished, on average, than my class was. Most of them have already published short stories, and one submission story was already in a year’s best collection. They’re also more diverse, and come from countries around the globe. They all belong at Clarion. My job is to give them a supportive but challenging first week. I know I’ll do a little damage to them–because that’s what workshops do, they break you down a bit and dent your ego so you can see how far you need to improve — but I’ll try not to damage them permanently. This is old news, but I wanted to get this on to the website because I enjoyed it so much. 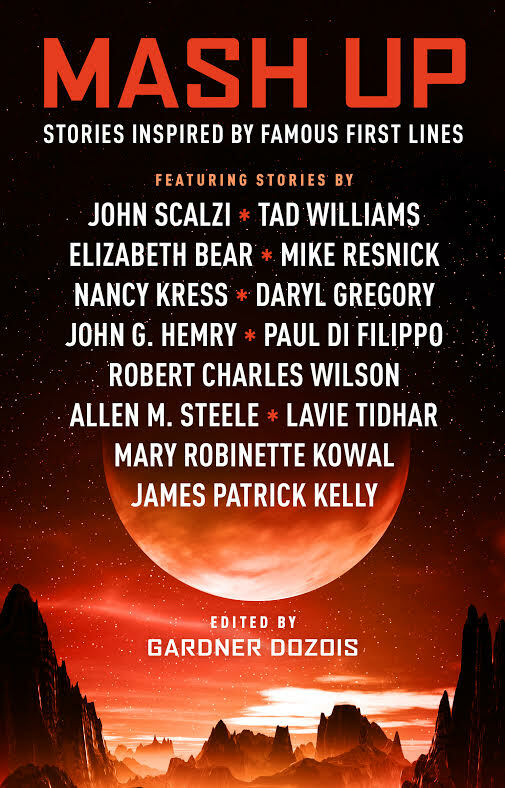 On September 30, 2016 I was the guest moderator at SF in SF, where the guest guests were Robert Silverberg and Alvaro Zinos-Amara, there to discuss their book, Traveler of Worlds: Conversations with Robert Silverberg. My job was to prompt them to talk, which, if you know Bob Silverberg or have met Alvaro, was no trouble at all. It was a lovely, wide-ranging discussion of Bob’s life and work. Here’s the podcast recording of the evening, thanks to the lovely folks at SomaFM. Hot off the presses! The Israeli edition of We Are All Completely Fine is now available. It’s published by that smiling man below, Rani Graff, and translated into Hebrew by Didi Chonoch. This is my third book with Graff Publishing, after Pandemonium and The Devil’s Alphabet, which won the Geffen Award for best translated novel. I’m kinda sorta thrilled. I love that cover. I’m pretty pretty happy. As the article notes, we had a bidding process going on among various studios and production groups. The clincher about the Paramount offer was the chance to work with the folks from Anonymous Content. They’re the people behind True Detective, Spotlight, The Revenant, and one of my favorite small movies, The End of the Tour. Another clincher–I’ll be an executive producer on the show, and I’ll let you know what that means as soon as I figure it out. A month or so ago I appeared at SF in SF, the San Francisco reading series run by the lovely and dynamic Rina Weisman (that’s her in the back). I read alongside Hannu Rajaniemi, author of the Quantum Thief trilogy (handsome guy to the right), and the event was moderated, as usual, by the also handsome Terry Bisson, one of my literary heroes. The people at Soma FM were there to record the readings and the Q&A section that followed. You can listen to the MP3. Or, peruse all their podcasts at their Soma FM Podcast page. I read two stories. “A Thousand Gomorrahs,” my apocalyptic love letter to coffee shops, has only been published in Hebrew; it was written for a con in Israel run by my friends Ehud Maimon and Keren Landsman. “Digital,” about a man whose sense of self moves from behind his eyes to the index finger of his left hand, appeared in my short story collection, Unpossible and Other Stories. Next week I’ll be heading off to Spokane to attend Sasquan, the 2015 Worldcon. What with all the science fictional controversy this year, this worldcon should be… interesting. Short fiction is very different from novels, both for readers and writers. A group of writers of short fiction talk about their approaches, and how those approaches differ from how a writer handles longer works. H.P. Lovecraft was considered pretty weird and out there. Who is writing now that is also considered pretty weird and out there? Somebody hands you an envelope of cash and a puppy. The puppy has a 99% of dying in twelve months. This is called a movie option. But there’s always that one percent, right? 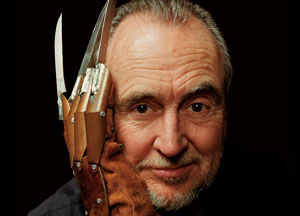 I found out last night that Wes Craven is developing a TV show for my novella We Are All Completely Fine. He’ll be writing the script for the pilot and directing it for the SyFy channel. You can read about it on Deadline Hollywood and elsewhere. Assuming all goes well–that the script is good and the pilot works, that all the stars align, etc–it will be turned into a TV show. Nice, right? But there are many hoops to jump through, and it may turn out that no show is made at all. But I will say that I’m cautiously optimistic, and I’m thinking about naming the puppy. Harrison Squared is out March 24, 2015, and Harrison Harrison is going is on tour tour. Or rather, Tor tour (since they’re the publisher, natch.) I’ll be in the following cities to read from and sign copies of the book. I will also make like a monkey and dance for you if necessary, because I am a people pleaser. Friday and Saturday, April 24 and 25 C2E2 (comic book con), Chicago, IL. Tuesday, March 24, 5pm. Barnes & Noble at Penn State, State College, PA.